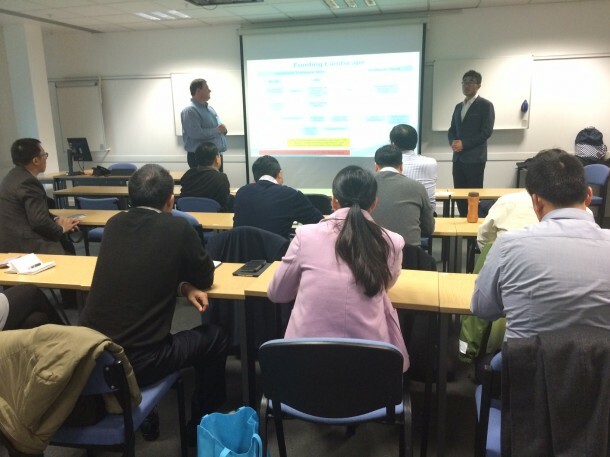 A VIP delegation from the Ministry of Human Resources and Social Security in the People’s Republic of China has been visiting the UK and hearing from TVET UK members and Government bodies about delivery of vocational education to ‘elite’ students. The TVET UK section of the overall programme was put together following a request by UK China Training, with whom TVET UK has worked closely for a number of years. TVET UK would like to thank Activate Learning, Sheffield College and learndirect (members of TVET UK) and DBIS, UKCES, Ofsted, Ofqual and NAS for their input. The delegation were particularly interested in apprenticeships, accreditation and courses on offer in the areas of leadership and management and career professional development.